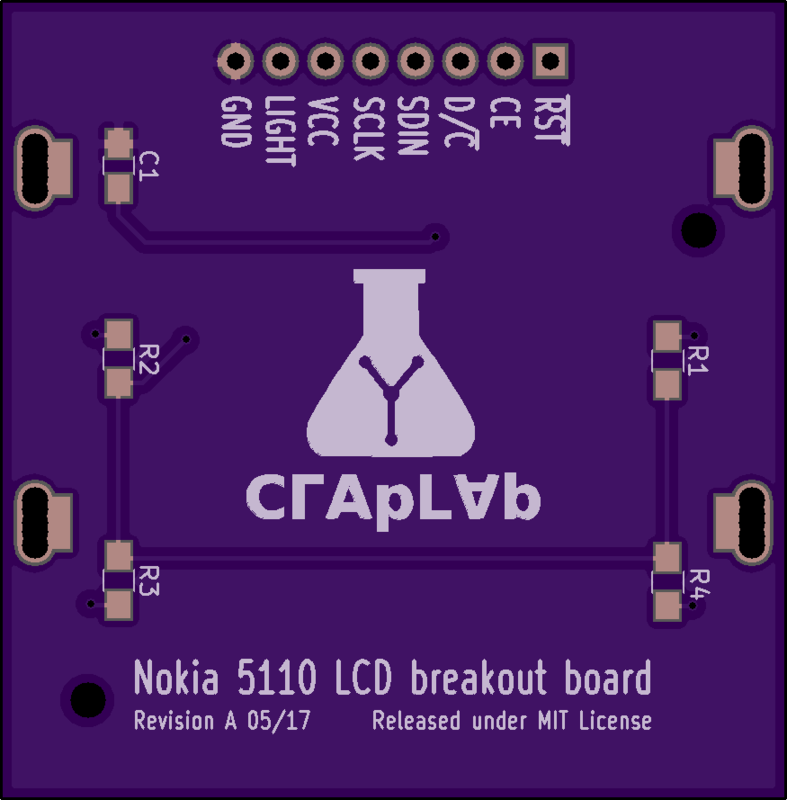 2 layer board of 1.75 x 1.78 inches (44.5 x 45.2 mm). Uploaded: June 25th, 2017 22:12. 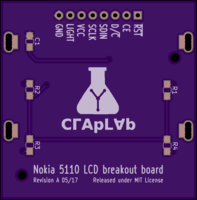 You’ll need a real Nokia 5110 LCD breakout board to have an actual LCD so you can use this one. In other words, there’s not much sense in ordering this other than curiosity. 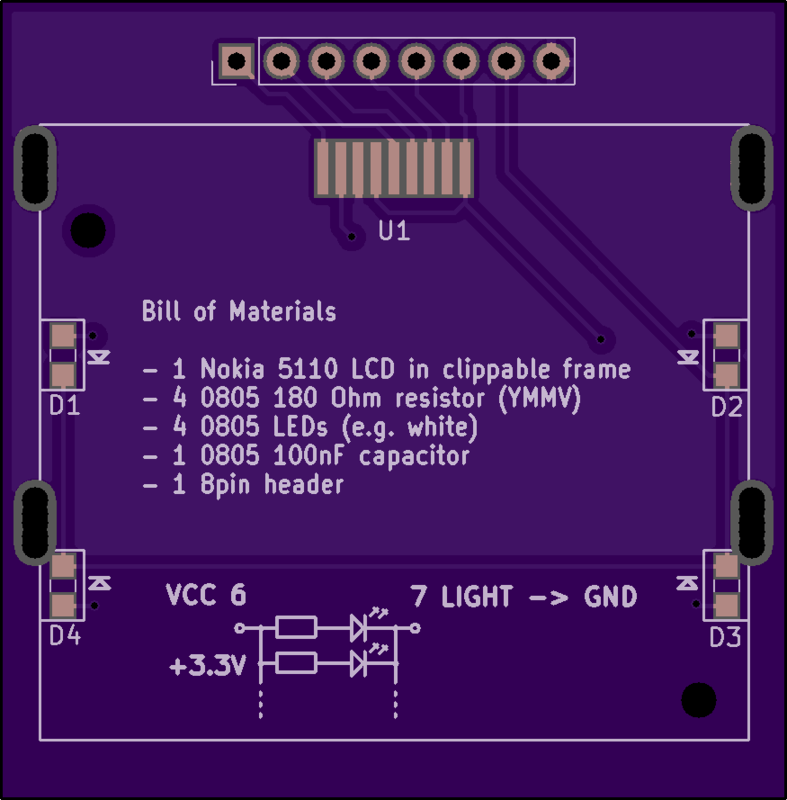 Main goal is to be able to integrate the Nokia 5110 / 3310 LCD into your own KiCad PCB designs. 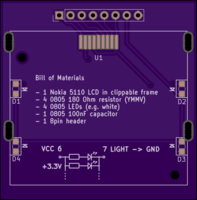 Check the hackaday.io project page for more details, instructions and additional links.